iSophie: Andreas needs a miracle. Recently I started following the fight for survival by the most precious little boy, Andreas. Andreas is a miracle, not expected to live through his first night, he is now 14 months old and fights everyday for his life. He has severe heart failure, so severe it is an absolute miracle he has survived. So today I just wanted to say how thankful I am for having 4 healthy boys. Yes, Oshawott has had his moments, here and here, but we have him in our lives and he is healthy and strong. The boys fight, they bicker, they whine, they don't listen, they drive me insane at times, but I now just see little Andreas' face in my mind and am so thankful and grateful that they are healthy. Andreas has touched many lives, and helped parents like myself really stop and smell the roses. Andreas is going through a very difficult time today, and needs everyone's prayers. What a beautiful post, Sophie. I am also incredibly grateful that all my little people are healthy! It's amazing how much we take our health for granted when it is one of the most important, if not the most important thing we can have. I too am so thankful that my Mia is a healthy little munchkin. Poor little man, what a fighter though! I'm thankful for health too, it is such a blessing. I am forever grateful for the health of my kids too. We may deal with disability and special needs but there is nothing wrong with my kids' health and that is a blessing. 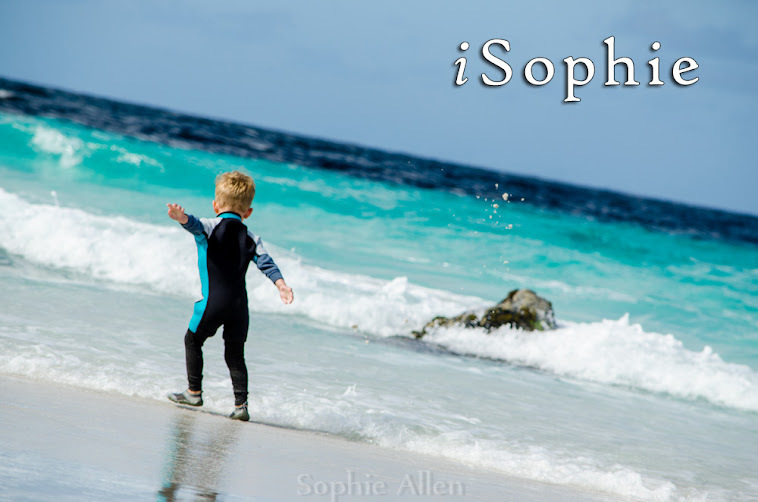 My heart goes out to Andreas - thanks for sharing his story Sophie. Just wanted to thank you all for taking the time to read Andreas' story.